INSIDE the existing window openings making your visible light less. Antique windows are made of old growth wood which is more dense and rot resistant. Joints may loosen up or rot may be present, but all can, and was designed to be repaired indefinitely. It’s easy to take a driving tour of bad replacement windows – shiny white vinyl, stuck on muntin bars, and flat glass. The proportion, shapes, and wavy glass in older homes is part of the beauty and character that makes these homes so appealing. Older windows can be just as energy efficient as new windows. 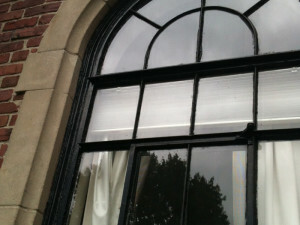 Through a combination of repairs and weather stripping we can make the windows snug and weather tight again. Ask any energy auditor – new thermal imaging technology can provide insight on where energy loss is happening before assuming it’s the windows. With replacement windows it’s all or nothing. With repair and restoration we can do as little or as much as needed. Services like replacing broken panes and cords is inexpensive and quick. 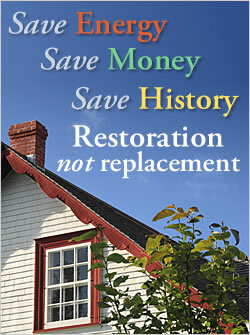 Even with complete restoration our services are often less costly than wasteful window replacement. Sign on to get emails from Window Woman of new England. 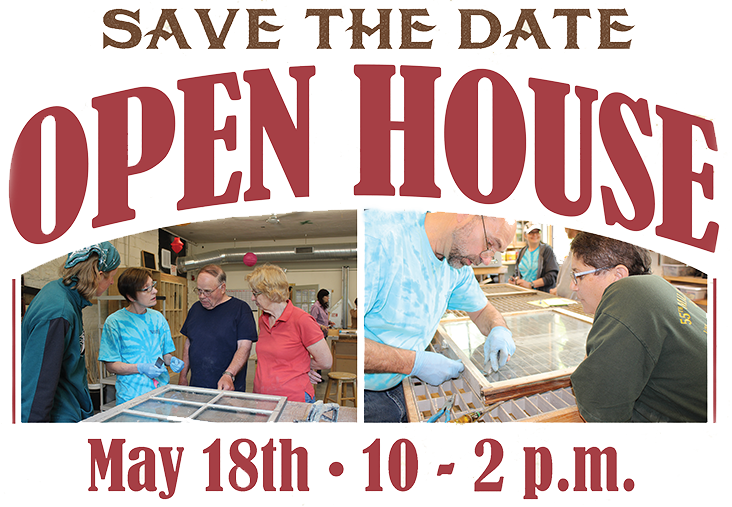 We are once again opening the workshop doors so you can see what goes on behind the scenes, meet the crew, nosh on some yummy food, watch demonstrations, and learn more about the art of window restoration. What is a Sash Revival? You bring your window sash and get help learning how to remove old glazing putty, replace broken glass, and re-putty glaze that window. This is a hands on experience, we want you to feel the putty! Our team of window restoration specialists will be on hand to help. This has become a very popular event so you will need to register to secure a time slot with one of our experts.